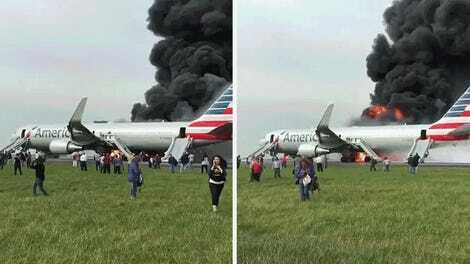 Earlier today, an American Airlines plane with 170 people aboard caught fire at O’Hare Airport in Chicago. Everyone was evacuated alive, though there are some minor injuries. 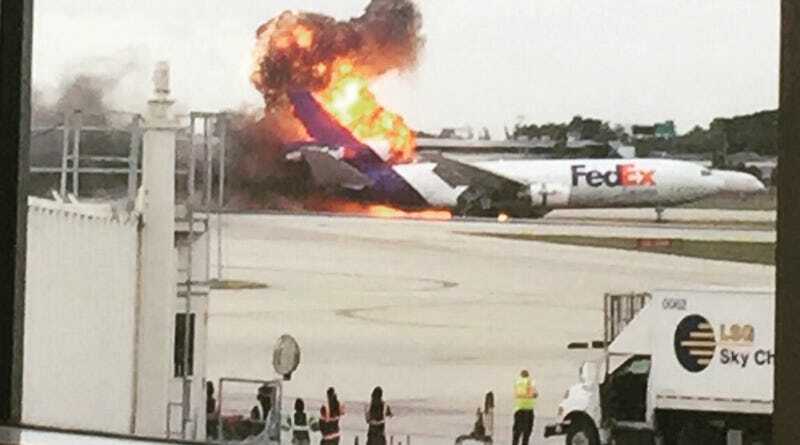 But now a second plane, this one operated by FedEx, has exploded at the Ft. Lauderdale airport in Florida. It’s unclear what exactly caused the explosion of the plane that had just arrived from Memphis, the headquarters of FedEx. It’s believed that the landing gear may have malfunctioned. Crews were able to put out the fire, but it remains unclear if there are any injuries. Both pilots reportedly escaped before the explosion of the cargo plane, according to ABC News.